Traditional internet is transmitted through copper cable, where speed is directly correlated to the weight of the cable utilized. To achieve higher speeds with copper cable, more cable is used, which takes up more space in the telecommunications room. Our fiber service is not tied to its size. The lighter weight fiber is easier to use, is more durable, more cost effective to maintain, and requires less hardware. Plus, it’s much lighter than its copper cable counterpart. Fiberoptic internet isn’t impacted by electromagnetic interference, which is not the case for copper cable internet supported by traditional broadband services. 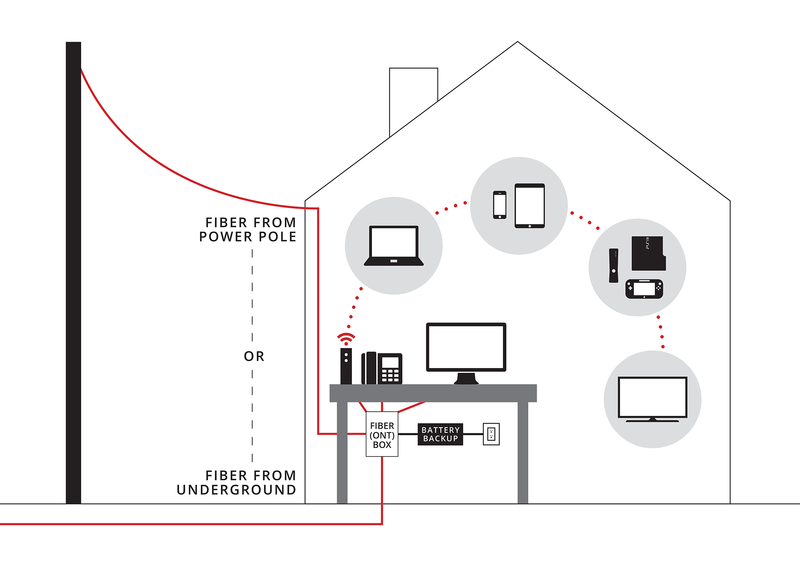 Shared telecommunications rooms between businesses can be impacted by slow speeds or disappearing connectivity through machine and equipment interference with broadband, but fiber internet can protect your connections and keep you up and running! Fiber internet offers symmetric speeds, meaning you can benefit from equal (or nearly equal) upload and download times. With traditional copper cable broadband internet, users often experience latency, a delay during data processing. With a fast fiber connection, many of the latency issues are eliminated, especially when downloading or uploading video or other high definition content. Beyond speed, fiber is also scalable and quickly expandable. Dark fiber, or unused fiber strands, are run to be used at a later time to expand capacity without the need to install new wiring. Fiber provides a high level of signal retention and signal clarity. Fiber allows users to know where the signal began and where it ends with a strong signal across the wire, providing blazing fast speeds that some routing technologies haven’t yet learned to process. See the diagram below to review the installation process. First, you can check out our interactive service area map to see if fiber is offered in your area. If it is not yet available in your area, you can make a request to have fiber installed in your area.